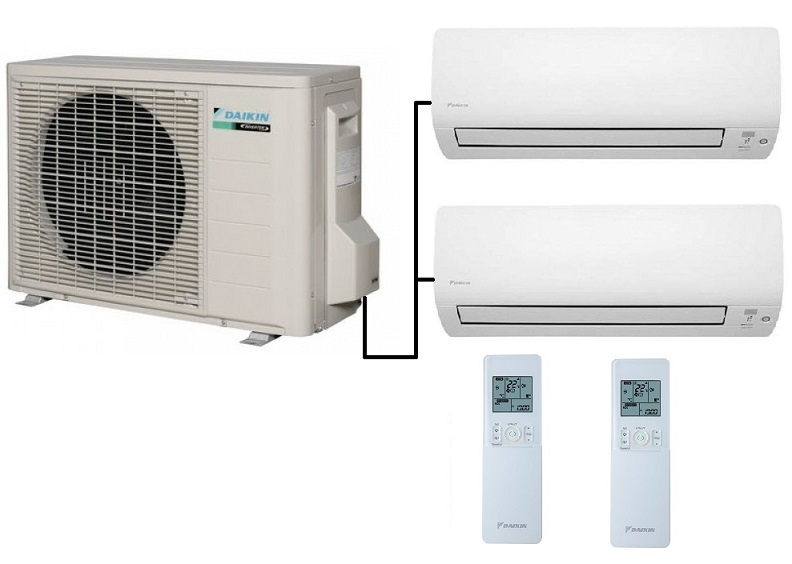 The Daikin 2MXM50M9 twin split multi heat pump outdoor unit can run variety of the Daikin indoor units from wall mounted, low wall and ducted indoor units. 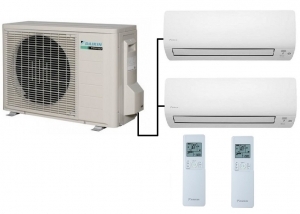 This listing includes two of the FTXM high wall indoor units either 2.5kw or 3.5kw output. These indoor units include a full 7 day timer facility built into the handheld controller and an air purification filter. Note these are latest R32 refrigerant models.